Who is the Smarter Villain?, Jafar from Aladin ou Gaston from Beauty and The Beast? Who will win in a Disney Villains Realiy Show? and Tell me how toi like them? Which Hayden Williams' Disney Villains picture Do toi Prefer ? Who would be your Best Friend (Girl), your Best Friend (Boy), your Brother, your Sister, Just a Friend (Girl), Just a Friend (Boy), your Mother, your Father, your l’amour Interest and your Arch-Enemy? This is your opinion about whatever, toi will snog, marry, avoid the Disney Villain ou not? *1. toi will snog ou Kiss the Character, who toi like the most. *2. toi will marry to the Character, who toi l’amour the most. *3. toi will avoid the Character, who toi dislike the most. Jafar-If toi must know, I don't like violently imploding into a nuage of dust after my lamp is kicked into a lava lake par Iago, that wretched parrot! Man is the unseen main antagonist of the book and 1942 film Bambi and its midquel. In the film, he was responsible for the death of Bambi's mother when he shot her during hunting season. Near the end of the film, Man returns to the forest with hunting chiens to help him kill plus deer and the rest of the forest's animals. However, Man left his campfire lit, which caused a massive forest fire. Contrary to populaire belief Man is only one person. Disney Villains is a Walt Disney Company franchise, based on animated fictional characters who have been featured as part of the Disney character line-up. Some of these villain characters have appeared in sequels, video games, comic books, stage productions, ou live-action adaptations of the original films. This liste of characters are those featured in Disney productions and merchandise as "official" villains. 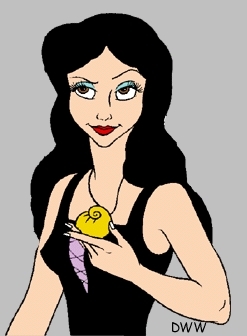 While other characters may also have been named as villains in their own stories, they have not been included as part of the Disney Villains marketing franchise. rejoindre as the Disney Villains! a poll a été ajouté: Which of these three villains would win in a fight?